It’s time for organizations to focus on employee health and well-being, and leaders play a crucial role in this, according to a speaker at the CEO Health + Safety Leadership Network roundtable on Oct. 18. “We have been around 100 years. 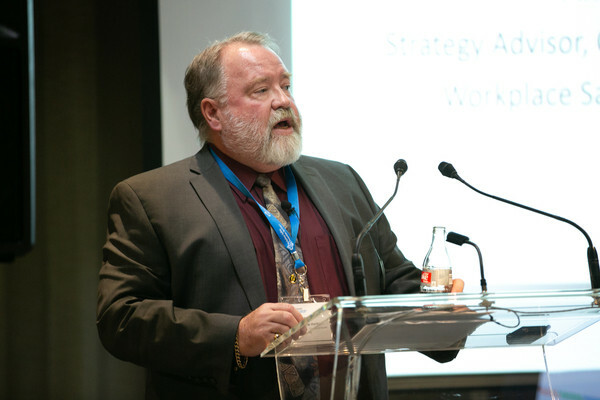 We call ourselves a health and safety association, but I would suggest to you that we have been primarily a safety association so far,” said Andrew Harkness, strategic advisor, organizational health, at Ontario’s Workplace Safety and Prevention Services. It’s up to the senior leaders to ensure they are fostering a culture where employee health is a top priority. He went on to say that people don’t leave organizations, they leave their managers because they have the biggest impact on employees — and this all starts with the CEO. One of the barriers in advancing employee health is that when there are budget cuts, wellness programs are often the first to be axed. “What we need to recognize is the health and well-being and the lifestyle practices of our staff are not nice to have, they are actually critical to the success of our business,” said Harkness. CEOs need to take some time to think about how they can create a psychologically safe and healthy workplace, and they can’t get there without strong core values. At Modern Niagara, an institutional and commercial construction contractor, the core values are teamwork, initiative, determination, professionalism and passion. A huge part of the company’s culture is these core values and employees are expected to always uphold them, said Brad McAninch, CEO of Modern Niagara, who is based in Ottawa. “If somebody at Modern Niagara violates these core values, it’s a bad day for that person and it’s addressed pretty quickly,” he said. Modern Niagara puts a lot of emphasis on creating a positive culture, and it seems to be working. According to its recent employee engagement survey, 93 per cent of employees strongly agreed with the statement that they feel respected at work and five per cent agreed. “Some of it is because of the amount of work we do in our safety department and creating a culture where… you can put your hand up and ask for help and feel very safe doing that,” said McAninch. A positive culture is a key ingredient in creating a high performing organization, and it will benefit both the company and individual workers.